By the 1979, Arcade Machines were the head and the neck in the video games industry, offering the best graphics, best sounds and smoothest gameplay! 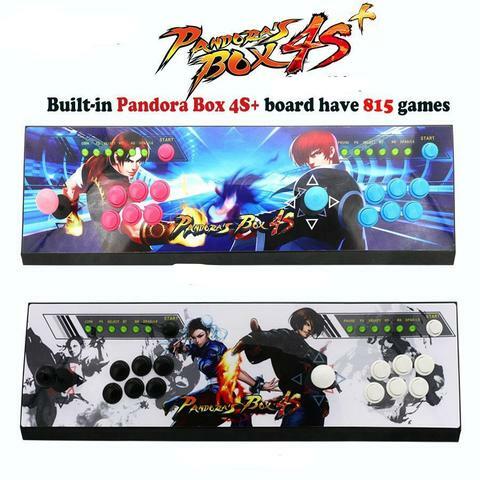 Biggest competition was about to come from the home computers. A lot of different home consoles were also in the circle, but none of the really delivered yet. In my previous posts I took a closer look at the games for home consoles and home computers, in this post I will take a look at the Arcade hits in 1979! 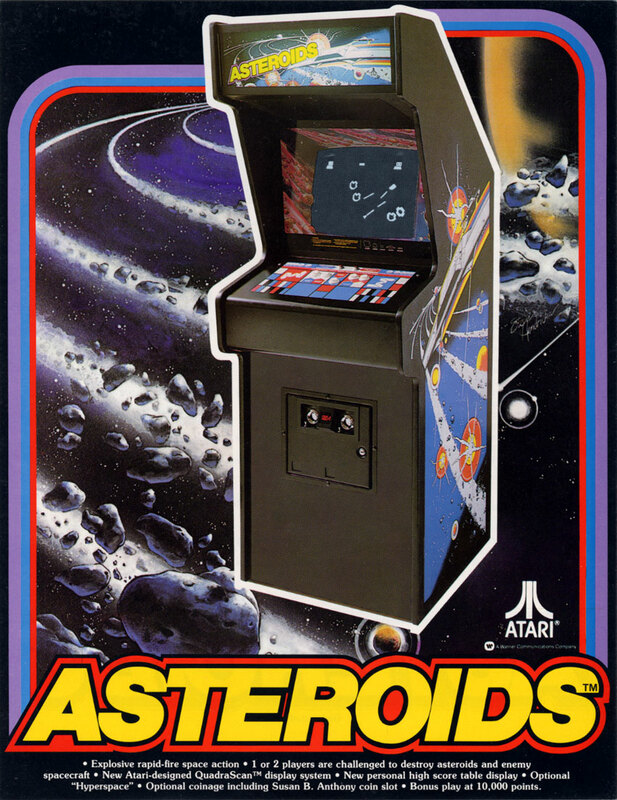 Asteroids is a space shooter released for the arcades by Atari. Its vector graphics were highly advanced for the time and its fun and addictive gameplay was acclaimed by players! Your goal is to shoot asteroids and alien spaceships avoiding getting hit. One of the all time bests! 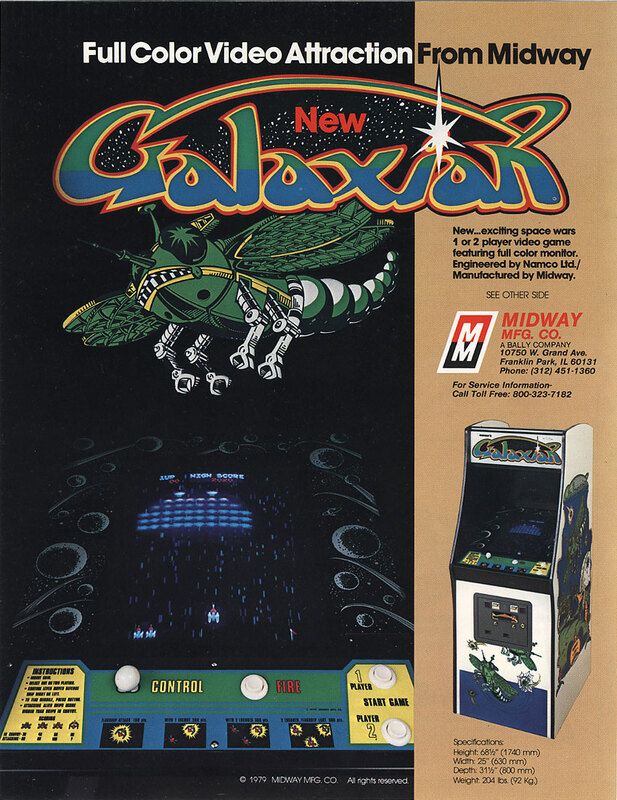 Galaxian is a space shooter (similar to Space Invaders released in 1978) released by Namco and was meant to compete with Space Invaders. And it did well! It was like advanced version, offering us some nice multi-colored and animated sprites, improved gameplay (now the aliens had individual personality – they really tried to get you by doing crazy kamikaze moves!). Another highly successful game and one of the all time bests as well! Sheriff was personally my favorite shooter in 1979. Released by Nintendo! 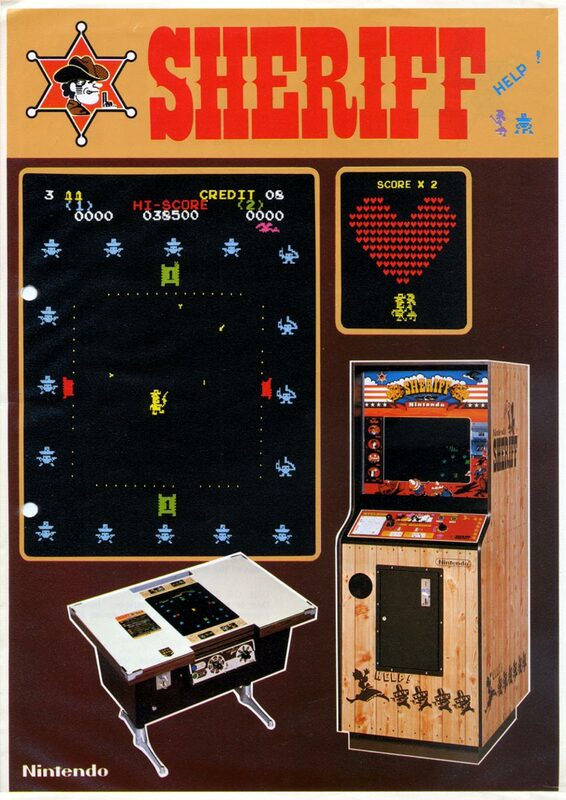 A bit less knows than its competitors Galaxian and Asteroids, but in my opinion – not worse! It took the shooting genre to the wild west and now you can take a control of a gun hero sheriff trying to take down the surrounding bandits alone! A fun and addictive gameplay and a must game for intelligent shooter fans! These were the best games of 1979 for Arcade Coin-Op Machines! There were other fun games (some space shooter clones like – Space Fever and Beam Invader), but none of the were that good and original. In my next posts I will take you into the 80s (starting of course with 1980), take a closer look at the systems and games released!